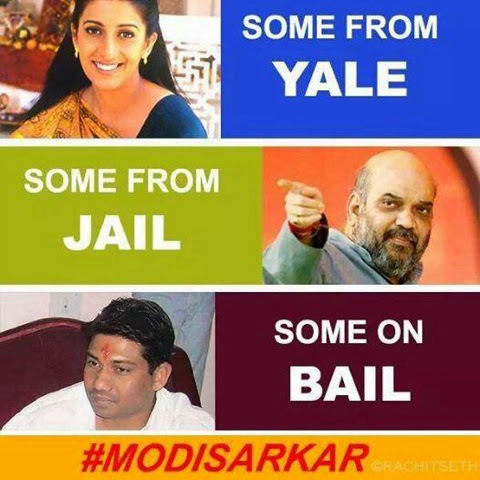 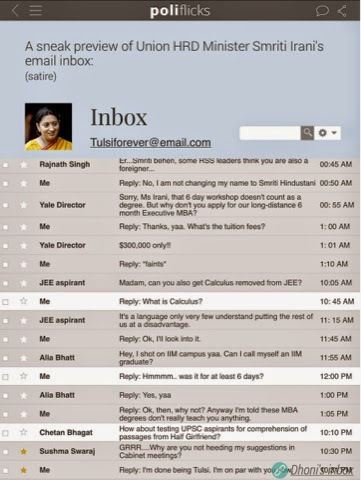 HRD Minister Smriti Irani's 6 days Yale degree got hand by hand by twitterattis. 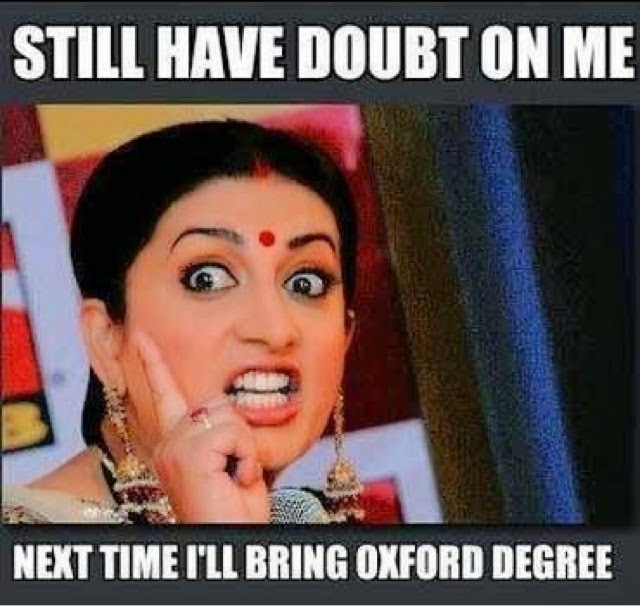 Thousands of memes and caricatures started rolling out within few hours of her statement she gave to a questioner during India Today woman summit 2014. 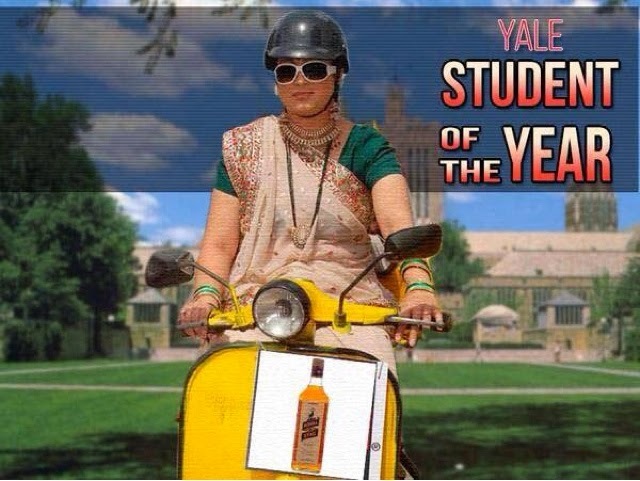 Smriti Irani said she has a degree from Yale university and if someone needs she has the proof too with her. 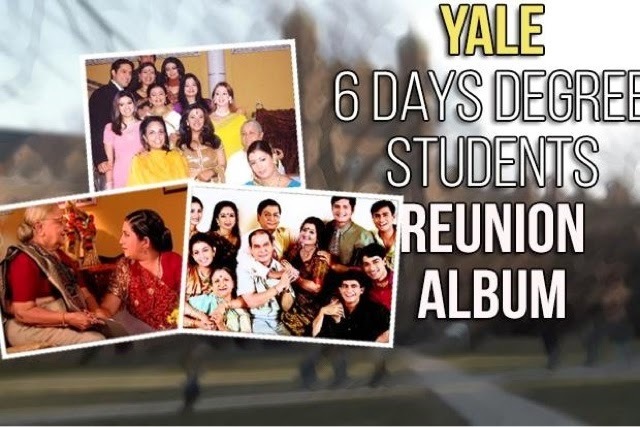 Here are some of the memes on her 6 day Yale degree program.